Artefact Description Good condition. 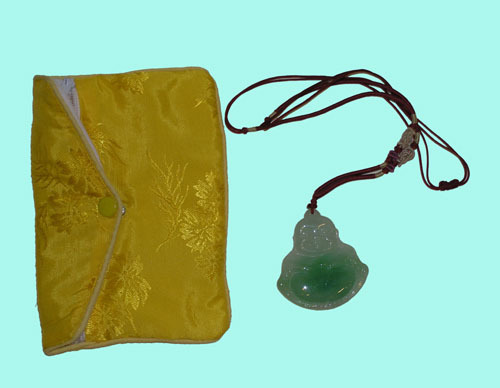 Jade, Buddha pendant suspended on a red string. Two-Sided. 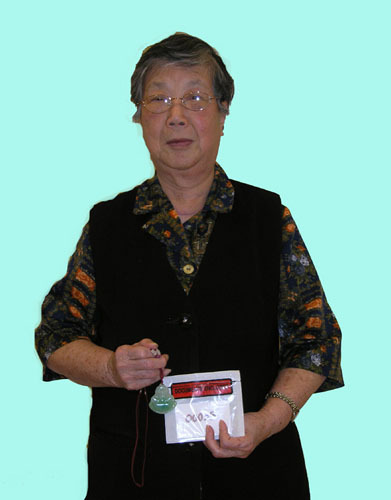 Sample Taken Fibre from red string. History of Artefact It was a present from her daughter and son-in-law for her 80th birthday. She had a big party to celebrate the occasion. It came from India where her son-in-law works. Special Memories It represents peace, protection, happiness and good health. She wears it next to her heart.